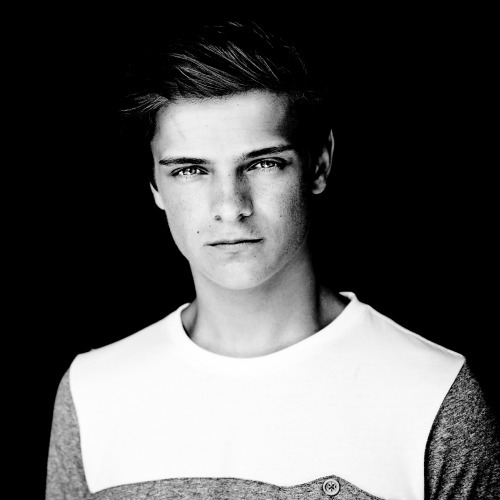 Martijn Garritsen (born 14 May 1996), commonly known by his stage name Martin Garrix, is a Dutch DJ/producer signed to Spinnin' Records. He is best known for the track "Animals", which was a Top 10 hit in more than 10 countries; the song has also peaked at number 1 in Belgium and the United Kingdom, and number 3 in Ireland. His single "Wizard", produced with Jay Hardway, was also successful in numerous countries in 2014. Garrix's passion for music started at the age of 4 through learning to play guitar. By the age of 8 (in 2004) he had expressed interest in becoming a DJ after seeing DJ Tiesto and DJ Jayvee playing at the Olympic games in Athens. Garritsen took particular inspiration from the track "Traffic", prompting him to download specialist software and enabling him to start composing. Garritsen currently attends the Herman Brood Academy, a production school in Utrecht. In 2013, he co-released "Torrent" with Sidney Samson on Tiësto's Musical Freedom label. Garrix gained considerable fame through his own solo release "Animals" released on 16 June 2013 on Dutch record label Spinnin Records, becoming a hit in a great number of charts in Europe, and quickly became the youngest person ever to reach the No. 1 spot on Beatport. The track also appears onHardwell's album Hardwell presents 'Revealed Volume 4'. On 30 September 2013, Garrix released a remix of "Project T" by Sander Van Doorn, Dimitri Vegas and Like Mike which quickly hit No. 1 on the Beatport charts.Garrix appeared on DJ mag's top 100 DJs list 2013 as a new entry at number 40. In November 2013, Garrix signed a deal with Scooter Braun's Scooter Braun Projects. In December 2013 he released "Wizard" with Jay Hardway, the song has peaked to number 6 in Belgium and number 17 in the Netherlands. Martin Garrix's collaboration with Firebeatz, "Helicopter", placed No. 1 on the Beatport Top 100 charts for 2 weeks. He later performed atUltra Music Festival 2014, where he debuted several new and unreleased tracks, including collaborations with Dillon Francis, Hardwell andAfrojack. In 2014 he also released Proxy, available as a free download on Soundcloud to his fans as a gift for a great last year (2013).